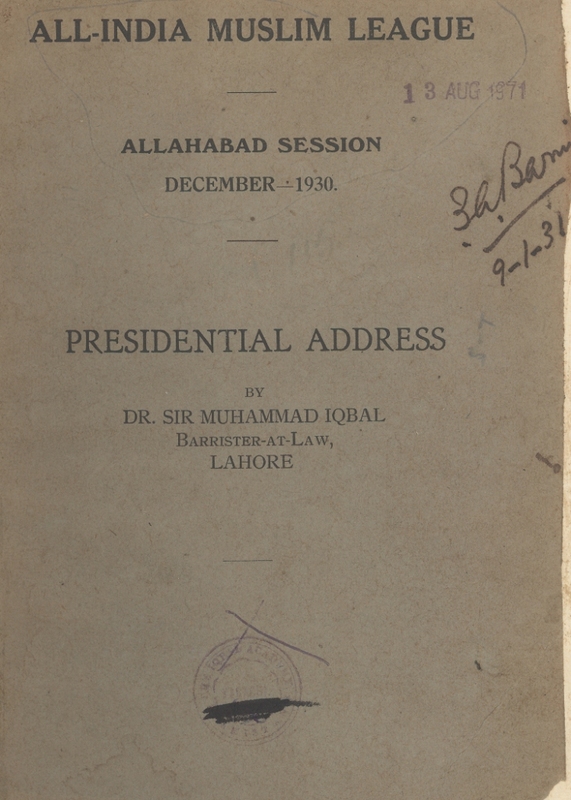 Note: Sir Muhammad Iqbal, Presidential Address: All India Muslim League - Allahabad Session - December, 1930 (Lahore: Kapur Art Printing Works, 1930), p. 23. Bibliography: Iqbal, Sir Muhammad. Presidential Address: All India Muslim League - Allahabad Session - December, 1930. Lahore: Kapur Art Printing Works, 1930.